These two London premières, performed on the same evening at Trafalgar Studios, with Linda Marlowe (about to guest star in EastEnders) and James Swanton, are ‘Dickens with a Difference’. Award-winning actress Linda Marlowe (The World’s Wife, Berkoff’s Women) stars in Miss Havisham’s Expectations as the iconic jilted bride ‘Norma’ Havisham, forever in her wedding dress alongside the stopped clock and untouched cake. Prepare to be amazed as she invites us to share her side of the story - a tale of passion, vengeance and more than a little magic. The show, which had a successful run at the 2012 Edinburgh Fringe, is an original take on one of Dickens’ best loved novels. Wrestling with love, loss and ageing our heroine replays episodes from the novel from her perspective – at times darkly funny as she explodes the stereotype with laudanum-fuelled relish. 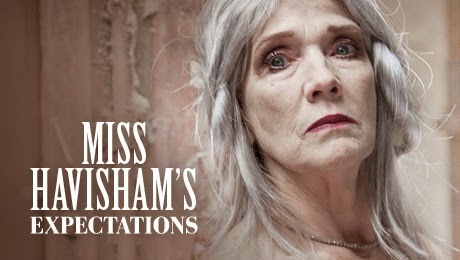 Drawing on the text of Great Expectations, biographical material from Dickens’ own life and original material by writer-director Di Sherlock, Miss Havisham's Expectations is a roller-coaster ride through what it means to be a woman both then and now. 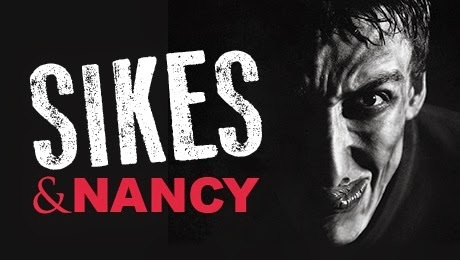 It is followed by Sikes & Nancy, a play adapted and performed by James Swanton based on the legendary readings Dickens himself used to give. Swanton, dressed entirely in black, enacts the compellingly and terrible story of Dickens’ most famous murder. His tour-de-force performance of this masterpiece of Gothic melodrama sees him transform seamlessly from the revolting Fagin to the unfortunate Nancy; from the righteous Brownlow to the ferocious and terrifying Sikes. This bravura storytelling is exciting, dark, physical and brutish. Charles Dickens adapted Sikes & Nancy from the grislier material in Oliver Twist. These notorious readings shocked audiences into silence; women would scream and faint. ‘I shall tear myself to pieces,’ Dickens vowed before one performance. In fact, it is now thought that the strain of the readings hastened Dickens’ early death.